Hi all, hope you are all well, where is the year going!!! Today for my inspiration I have had another go at a scrap booking page, this is the day before Rosanna's 11th Birthday (she is now 14, way behind lol), with her Aunty Jen and her granny (Jen's and Edward's Mum) when they were here on holiday. As you can image it was a very special cake. I made this page using Tiny Baker Tia, I just loove her she is so cute and from Some Odd Girl and is available from the M4M Store here. She comes with two sentiments I have used 'just so sweet'. A closer look at the spicas, special effects, dazzling diamonds glimmer mist, I also made a frame of SU blue glitter around the photo, for extra sparkle! 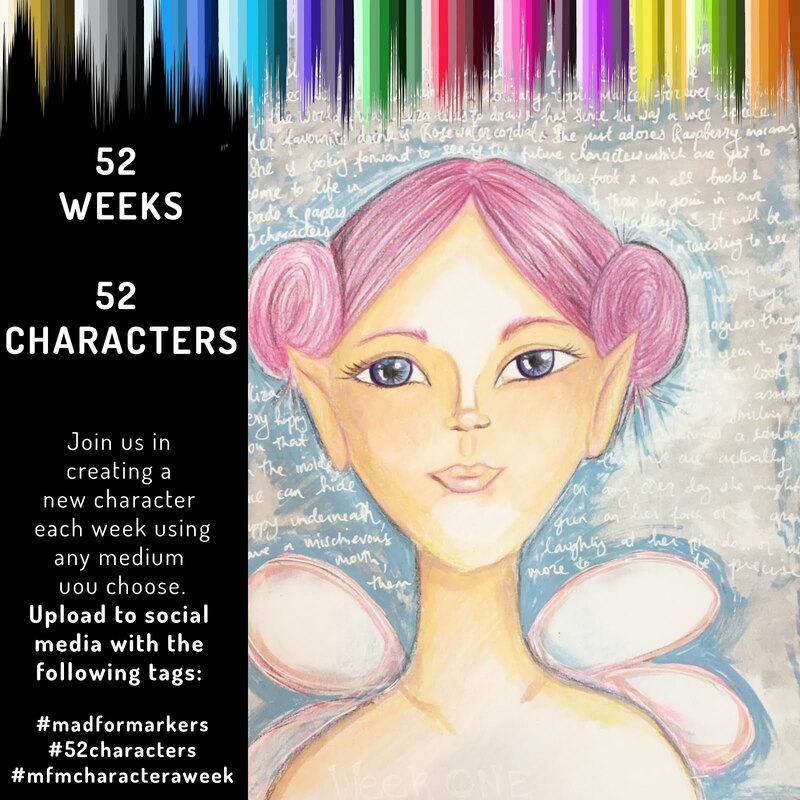 We would love to see your creations in our Mad for Markers It's Raining Men Use Masciline colours Challenge. Rosanna and I are super excited as Sammi has the lovely Irina Blount, LaLa Land Crafts taking a project class in Sydney (16th June) and guess what we are going WOO HOO! Details here. Copic Colour Conference 21st-23rd September in Sydney full details here, Rosanna and I had so much fun last year.